Americans represent 5% of the world’s population but generate 30% of the world’s trash. The individual American throws away about 197 lbs of food a year. Collectively, that means over 100 billion lbs of trash each year or roughly enough food to end hunger in 1.7 billion people. 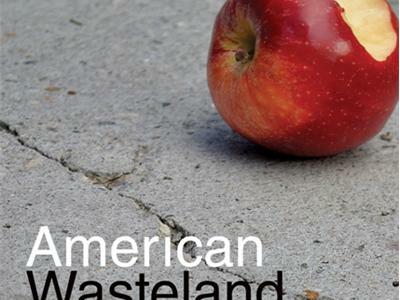 In American Wasteland, Jonathan Bloom sheds light on the food waste epidemic. Identifying sources of waste and reexamining food-sustainability in today’s culture, Bloom spreads the blame across all wasters—farmers, foodies, and kindergarteners alike. This book is much more than an exposé, it’s an action plan. Bloom offers practical everyday solutions that we can adopt immediately. He provides helpful tips to reduce waste in your home by pinpointing common household blunders—everything from preventing freezer burn to resisting the urge to maintain a full fridge—and recommends a smartphone App that will answer the eternal question “is this still good?” Bloom’s hints on shopping strategically include:Make a list and stick to it—avoid buying things you don’t need just because they’re on display. Whether you’re a restaurateur or a homebody ready to cut wasteful habits, American Wasteland is the go-to guide for all things garbage. Read this book and you won’t mindlessly toss out that milk one day after expiration. Waste not, want not isn’t just an idiom, it should be a necessary change in lifestyle for all of us. In this segment of The Organic View Radio Show, host, June Stoyer will speak to author Jonathan Bloom about American Wasteland. Stay tuned!